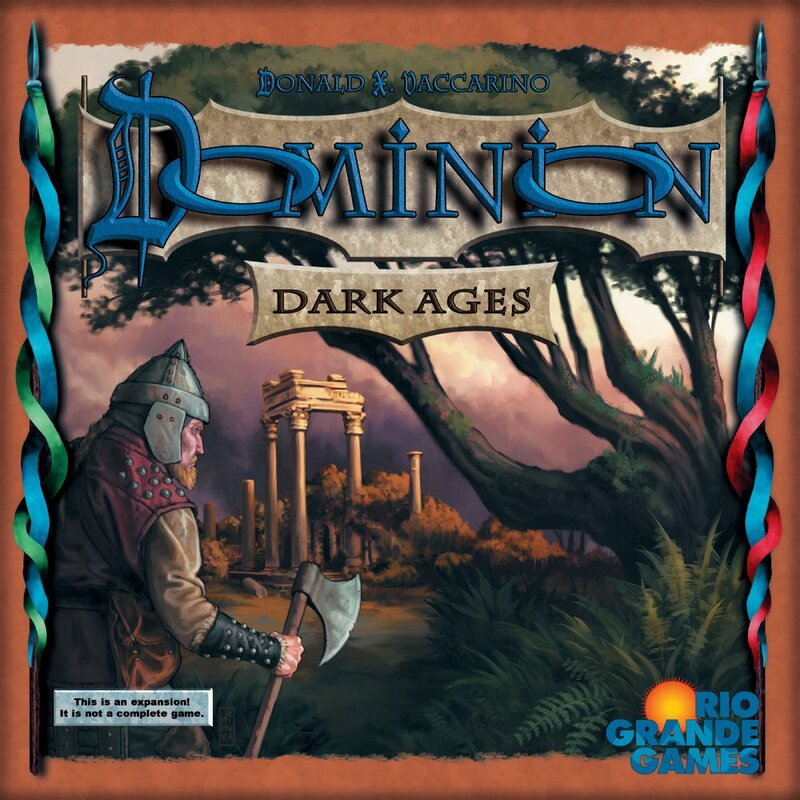 This is the 6th addition to the game of Dominion. It adds 26 new Kingdom cards to Dominion, including 20 Actions, 3 Treasures, 3 Victory cards, and 3 Reactions. The central theme is cards that do something immediately when you buy them or gain them. 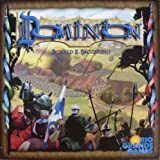 Dominion: Hinterlands cannot be played by itself; to play with it, you need the Basic cards and rulebook. Before the first game, remove the three sets of cards from their wrappings and place them in the card tray. One side of the included inlay suggests a way to organize the cards. The opposite side allows players to create an organization that fits their needs. Hinterlands includes 26 randomizer cards (one for each Kingdom card in Hinterlands). 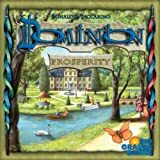 Players will need the Treasure cards, Victory cards, Curse cards, and Trash card from either Dominion or Base Cards (or older editions of Intrigue), and the rules from Dominion to play with this expansion. As with previous Dominion games, players must choose 10 sets of Kingdom cards for each game. If players choose the random approach for choosing sets, they should shuffle the randomizer cards from this expansion with those of any other Dominion games they choose to play with. Many cards in Hinterlands do something "when you gain" or "when you buy" that card or another card. When you buy a card, you first buy it, then gain it. So, for example, if you have Haggler in play and buy Embassy, you first resolve Haggler's "when you buy" ability, then gain Embassy, then resolve Embassy's "when you gain" ability. When you gain a card without buying it, "when you gain" abilities will still happen, but "when you buy" abilities will not. "When you gain this" happens directly after you gain the card; the card will be in your discard pile already (or wherever else it was put) when you resolve that ability. When playing a card, its "when you gain/buy" abilities no longer do anything. You can sometimes buy a card without gaining it, such as by using Trader to gain Silver instead. You can also sometimes gain cards when it is not your turn. The player that "when you buy" things happen for is the player who paid for the card, and the player that "when you gain" things happen for is the player who actually gained the card. Those are normally the same person, but can be different, for example due to the Dominion: Alchemy card Possession. We advice also to read getting better in Dominion Hinterlands.